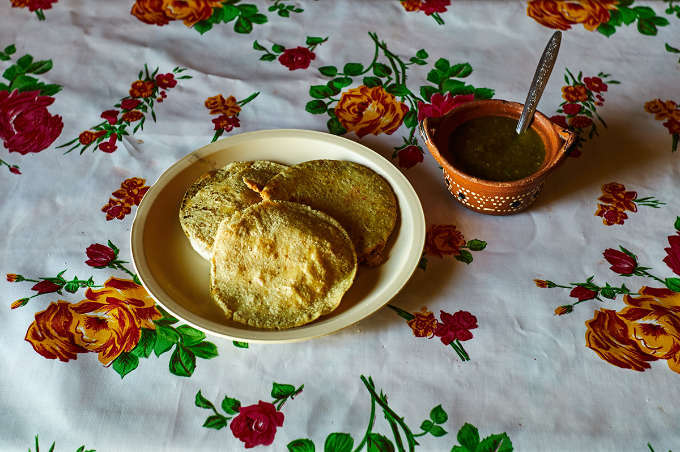 “I’m Aunt Vicky; take a seat and I will prepare some delicious gorditas encarceladas for you” we were told by a kind, tenacious woman with a glow about her in the town of Estación Catorce in the state of San Luis Potosí. 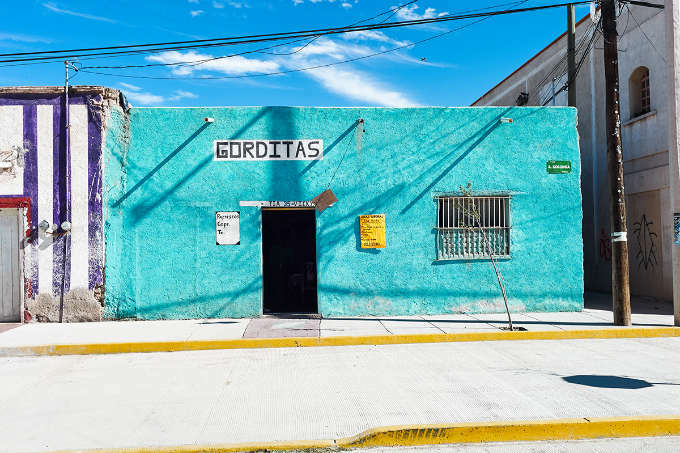 Tia Vicky sells gorditas encarceladas, which means “jailed gorditas,” in her small shop. 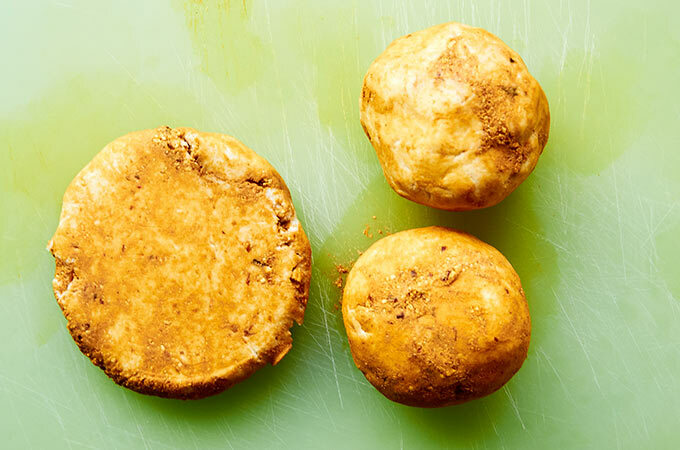 They are called “jailed gorditas“ because the cheese they are prepared with is “jailed” in the masa, or dough. Our taxi to Estación Catorce was a vintage Willys. 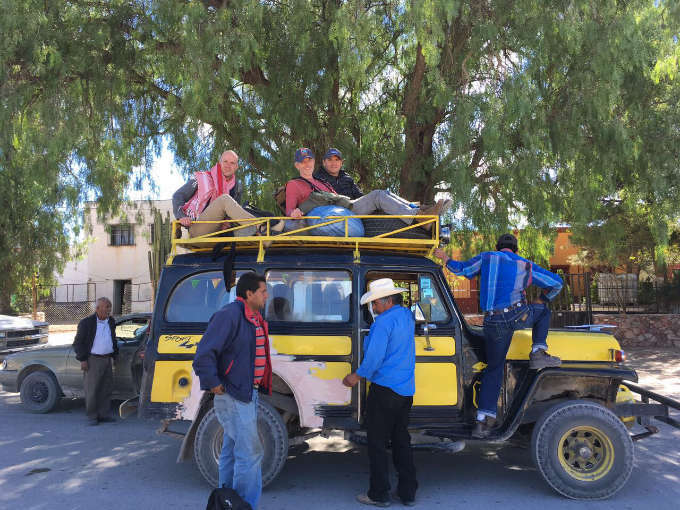 The last Willys taxi back to Real de Catorce leaves at 2:00pm which we missed because we were have such an enjoyable time eating and talking to Tia Vicky. We ended up walking 4 1/2 hours to get back. While Tia Vicky was at work making gorditas we asked if we could photograph her and the process of preparing gorditas. She happily agreed and even offered to share her recipe with us. Buy masa harina, corn meal to make the dough. 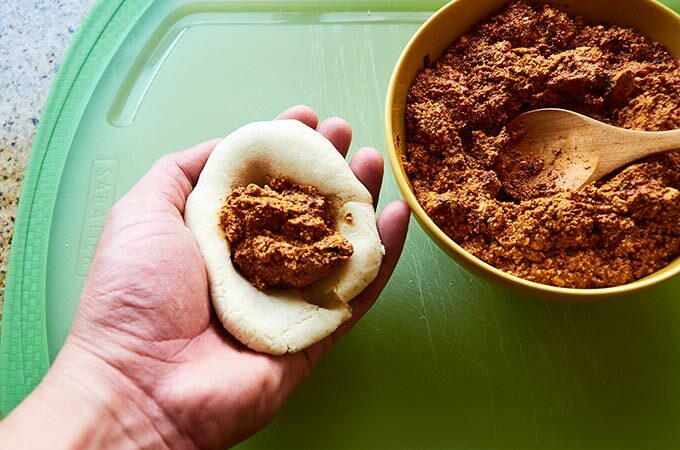 You will probably find two types of masa harina at the supermarket, one that says it is for tortillas and one that says its for tamales. 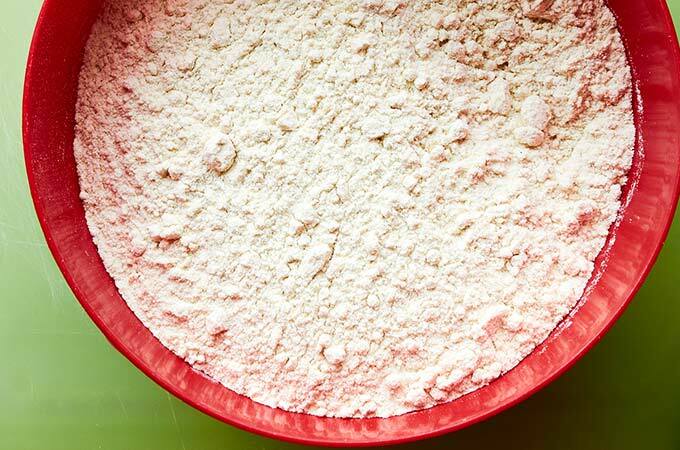 The one for tortillas is milled finer and the one for tamales is milled coarser. We prefer the coarser corn corn meal used for tamales. But either works well. Add the water to the corn meal. 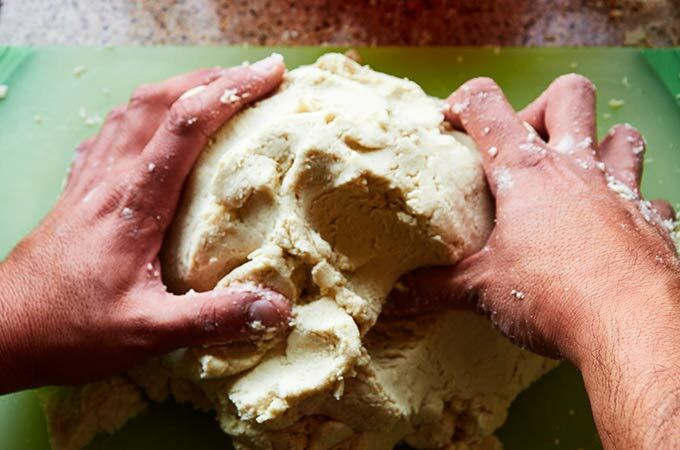 Knead with your hands to incorporate the water. 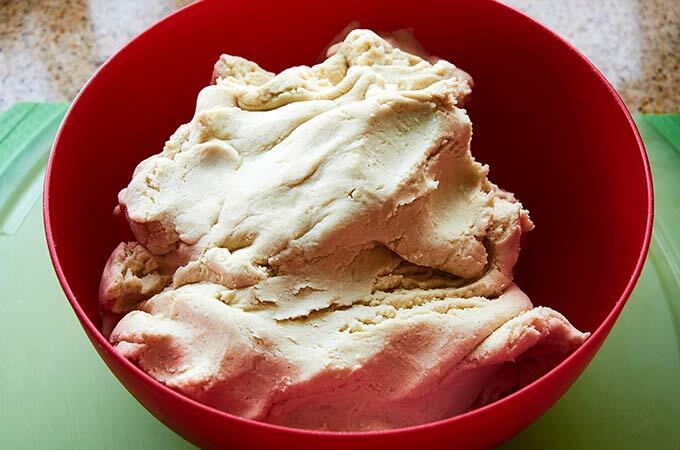 You dough turns out better when you knead it by hand not with a mixer. 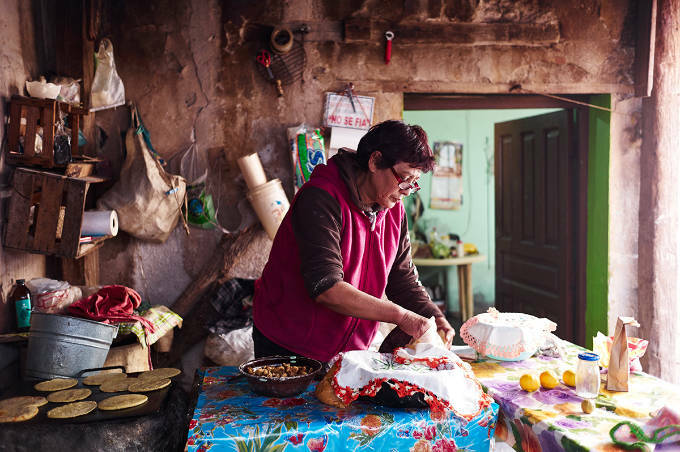 Tia Vicky prepares the filling for the gorditas with a queso de rancho, a cheese prepared for local consumption only in her region. You can use cotija cheese, or Chihuahua cheese. Break up the cheese first. 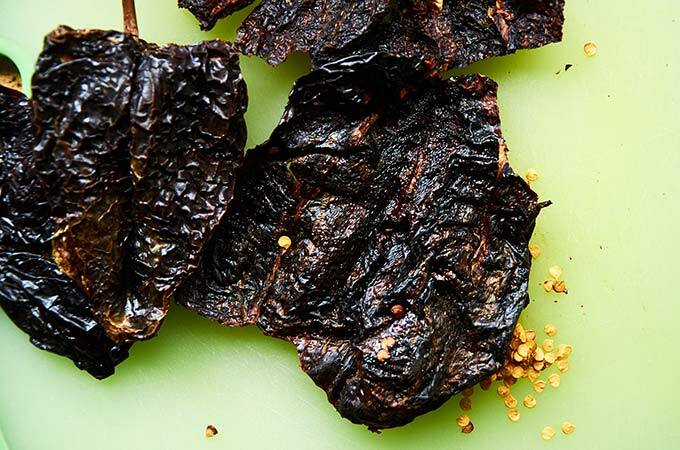 Break open the ancho chiles and remove the seeds and veins. 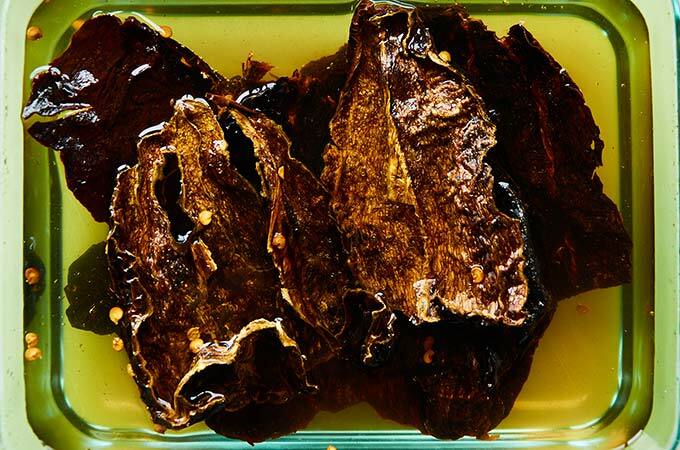 Soak the chiles in hot water for 15 to 20 minutes until they have reconstituted and softened. 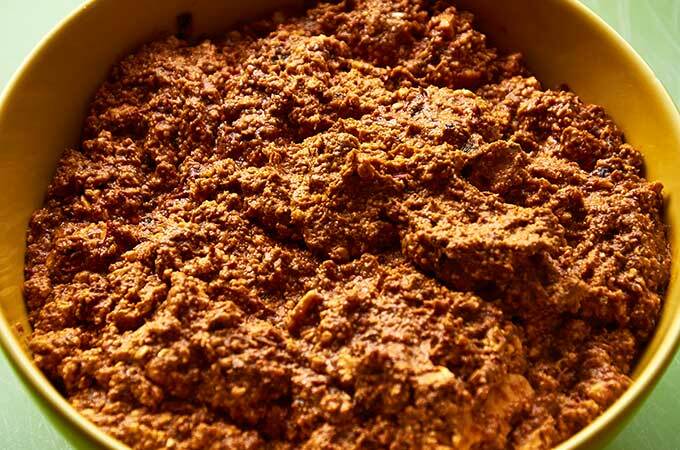 Use a food processor or blender to combine the ancho chile and cheese until you have a coarse paste. Don’t overmix. It should have some texture. 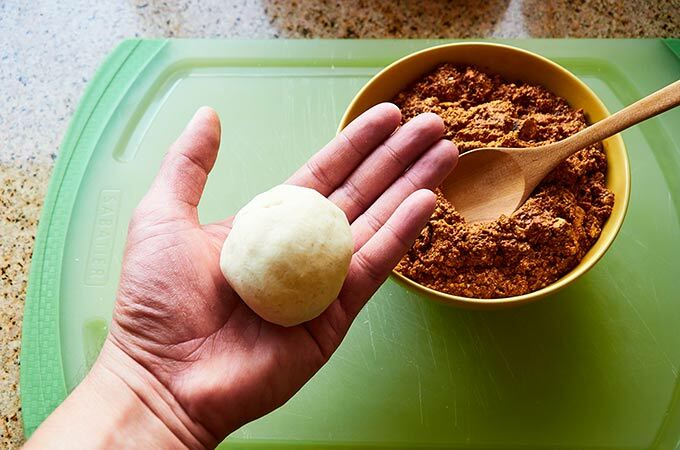 Form a palm sized ball of masa, dough. Make an indentation in the center of the ball. 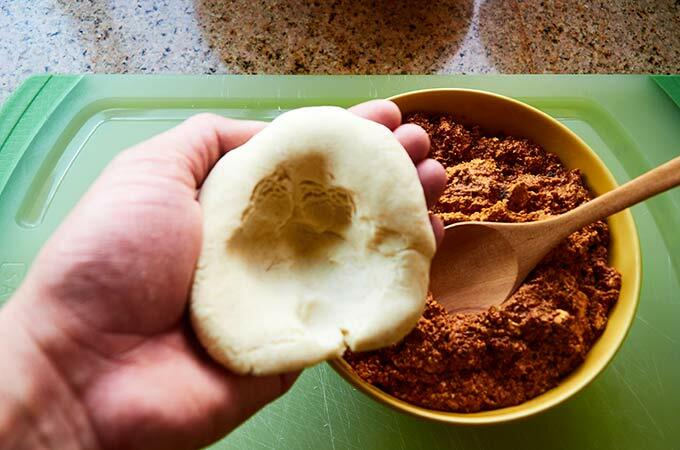 Fill the indentation with about 1 1/2 tablespoons of the chile cheese paste. Notice how the ancho chile and cheese becomes “jailed” in the dough. 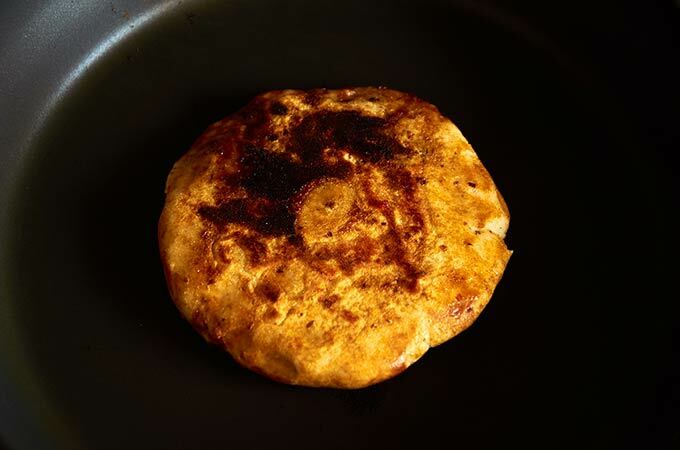 Once you have formed the gorditas, it’s time to cook them. In a dry pan over medium high heat cook them on each side for about 5 minutes. Cook until golden brown. We cooked ours until they were extra toasted. With a sharp knife carefully split it gordita open. 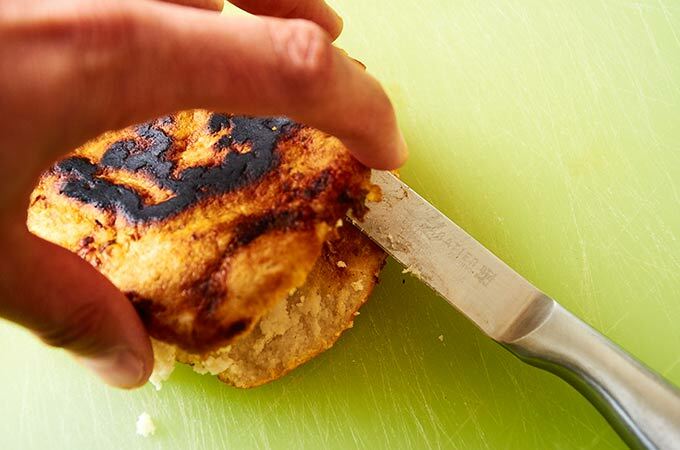 When the gorditas have cooled just slightly to the touch carefully split each one open with a sharp knife. 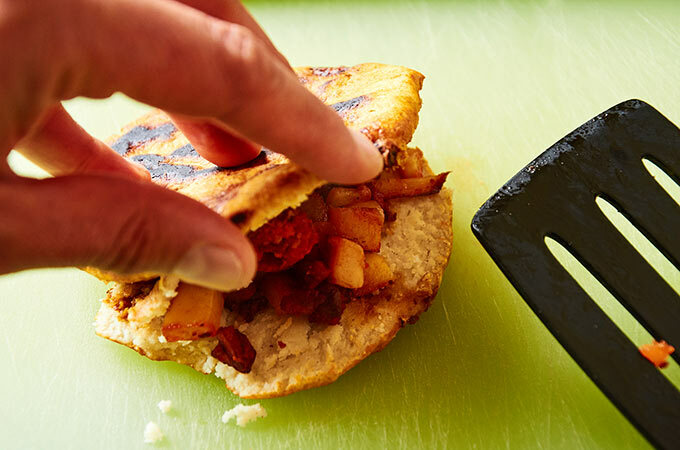 Fill your gordita with your favorite guisado. We used potato and chorizo. They would also be great with some frijoles de la olla. 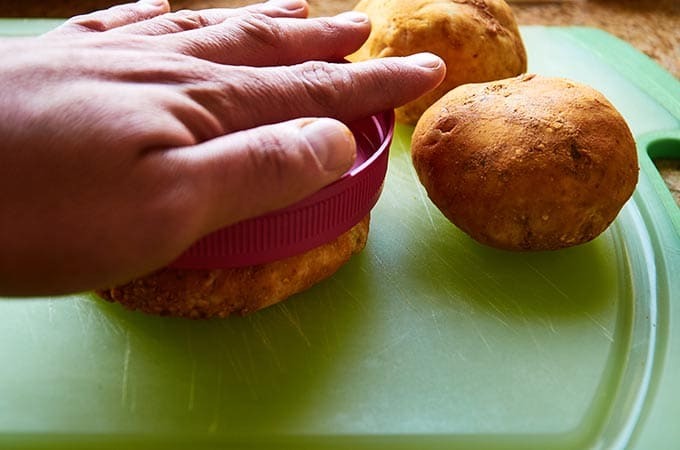 Enjoy your San Luis Potosí style gorditas encarceladas! Top with your favorite salsa. Try the salsa verde or salsa roja recipe. 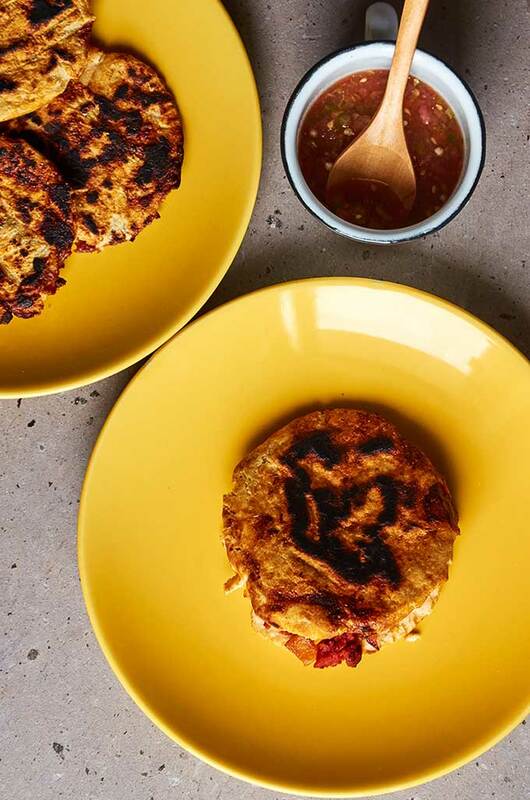 Tia Vicky's "gorditas encarceladas", which means “jailed gorditas,” because the cheese and chile are "jailed" in the masa, dough. 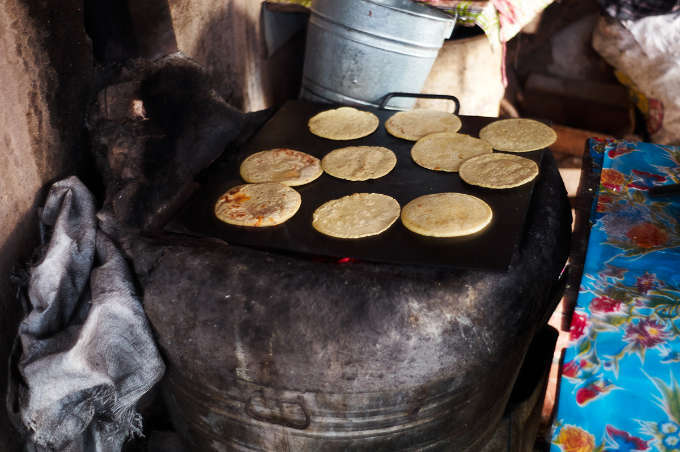 These gorditas are typical to San Luis Potosí. Place your corn meal in a large mixing bowl. Add the 6 cups of water. Knead with your hands to incorporate the water. 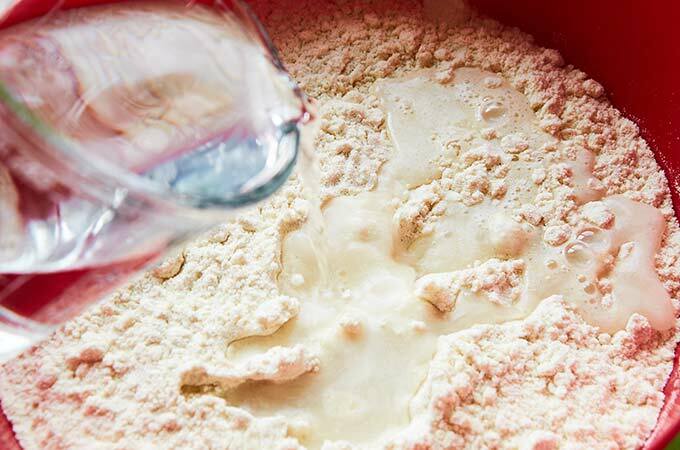 If the dough is too dry, add a few tablespoons of water at a time until the dough has the correct consistency. It should be slightly moist but not sticky. 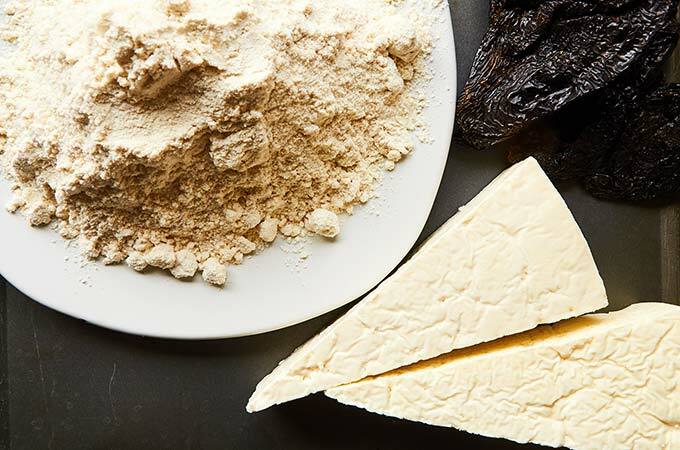 Use a food processor or blender to combine the ancho chile and cheese until you have a coarse paste. Don't overmix. It should have some texture. 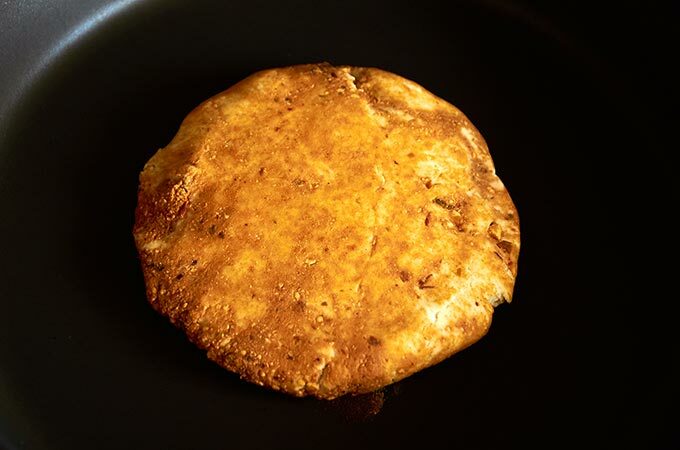 Fold the edges of the dough over the filling and then press the ball to form the gordita. In a dry pan over medium high heat cook them on each side for about 5 minutes. Cook until golden brown. 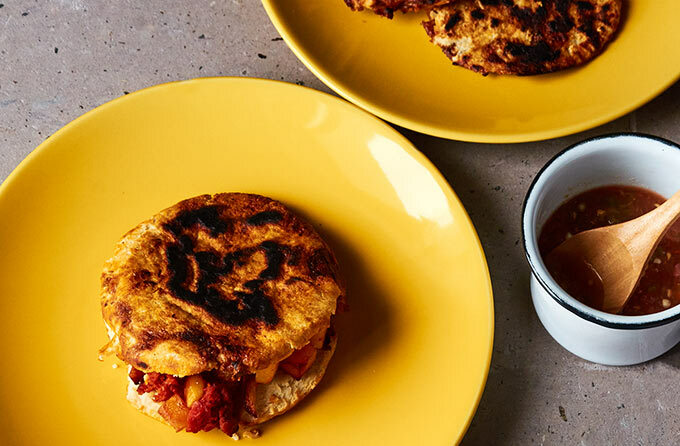 Serve stuffed with your favorite guisado and topped with your favorite salsa. 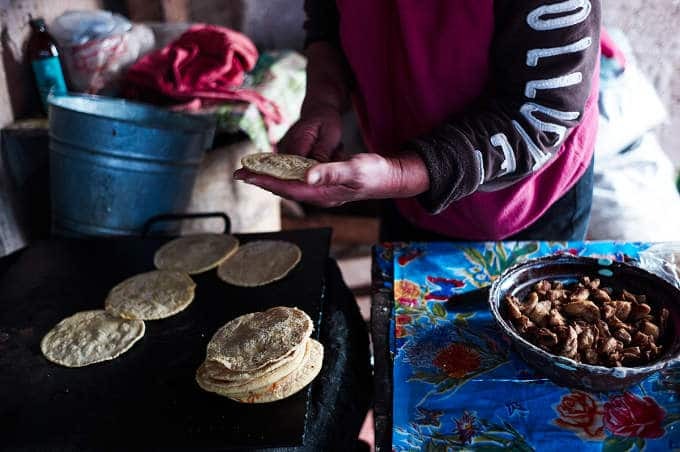 Tia Vicky uses "queso de rancho" for her gorditas which is locally made and only available in her region so she recommends using Oaxaca, Chihuahua, cotija or Panela cheese. Each cheese gives the gorditas a slightly different flavor. **The story is written as told to me by Andrés Carnalla. I cannot find the recipe. There is no link.